Many new players love to play roulette online because out of all of the casino games, slots not included, it is the easiest game to learn. There aren’t nearly as many rules as in poker, as well as there not being any pressure from the other players, and it can have one of the best payouts on a single bet for someone who has never played before at 35 to 1. There are two different types of Roulette tables, those with a zero and double zero spots, commonly used in American Roulette, and those with only a zero spot and no double zero which are commonly referred to as European Roulette tables. The roulette strategy and rules this article will be speaking about are for European style tables, but can easily be used for Americans who play roulette online as well. 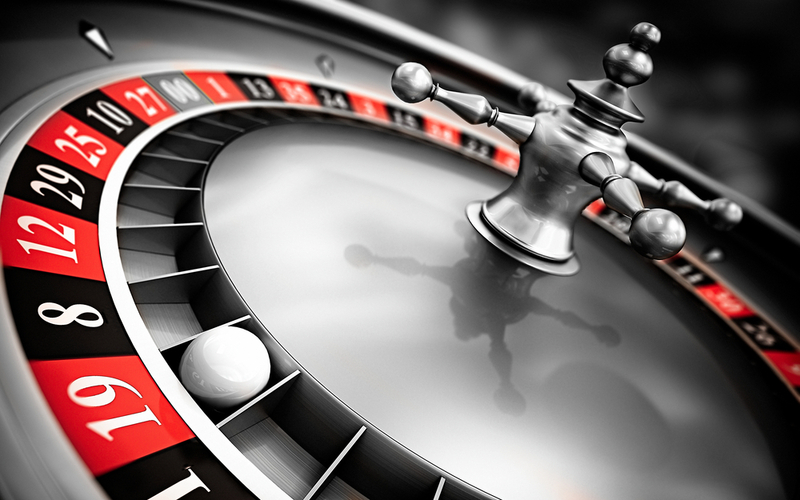 The Roulette rules are mostly related to how a player can bet. We will discuss the how in a little bit, but for now, let’s focus on when you can bet. Betting in roulette takes place before the croupier, online or not, starts spinning the ball, and continues until they call the bets off. Once the ball stops, all bets are paid out, and the next game begins. Players can bet in a number of ways, which are grouped into “Inside” or “Outside” bets. Inside bets are simply bets that are placed on any number (or numbers) that can come up from the wheel as well as rows, while outside bets cover anything else, such as odd, even, red, black, columns, dozens, etc. We will cover all of these bet types below. Straight up bets are inside bets placed on a single number, they have the lowest chance of winning on the board, but pay out the most. Split bets are inside bets placed on the line between two numbers, denoting that both numbers are involved in the bet. Street or row bets are inside bets where the player places their chip on the line that separates the inside bets from the outside and bets on all three numbers in the row. For example, if the user places their chip on the line between the “1” spot and “1st 12”, it would be a bet for numbers 1, 2, and 3. Six numbers may be bet on this way if the bet straddles the line between two rows, this is known as a double street, or double row bet. A square bet, also known as a corner bet is an inside bet that is placed on the intersection of four numbered squares and acts as a bet on all four chosen numbers. The outside bets are all fairly straightforward, to bet on them, you place your bet inside the boxes provided for them. They include Dozens which allow you to bet on any number in the first, second, or third section of 12 numbers on the board, which colour will come up next, either red or black, which half of the board the ball will land in the high or low sections either between 1 and 18, or 19 to 36, a column of numbers, marked as “2 to 1” on the board which bets on all 12 numbers in the column chosen. Finally, odds or evens, meaning if an odd bet is placed you win on an odd number such as seven, or if an even bet is placed, you would win on an even number. Now we will take a look at two popular strategies, and give some excellent roulette tips that will get you on your way to winning. The most popular roulette strategy is Martingale, and involves betting on red or black, odd or even, or high or low, and simply has the player taking anything they have won off of the board and playing their original bet again on each win, and doubling their bet if they have lost until they lose two in a row, then the original bet is placed once again. Another popular strategy is to play two dozens or columns with equal bets. This gives the player a 63% chance of winning, and because it pays two to one you will always lose one bet when you win, but you will still have the other bet, and the winnings will pay for the lost bet and add an extra amount equal to one of the bets to your stack.